Navratri, we celebrate this festival with great enthusiasm every year. Navratri is a combination of two words, where ‘Nav’ means nine and ‘ratri’ means to be nights. It is a festival of all nine days. In these nine days, we worship nine different forms of goddess Durga. Many of the people also opt for fasting and they wait an entire year to be part of this festival. Any fast or a festival is incomplete without bhog. Navratri also has nine different kinds of bhog for each day having its own significance. There are nine different colours also for each day of this festival. Day one of Navratri also known as ‘Pratipada’, we worship “Maa Shailputri”, the daughter of Himalayas. On this day cow’s ghee is offered to the goddess. This gives the devotee a disease-free life. The colour for this day is yellow. The second day is ‘Dwitiya’. On this day Goddess Durga is worshipped as “Brahmacharini”. This form grants prosperity and emancipation. To increase the longevity of the devotee and his/her family members, sugar is offered to the goddess on this day. The colour for this day as per religion is green. The third day of Navratri is known as ‘tritiya’ and goddess Durga is worshipped as “Maa Chandraghanta”. 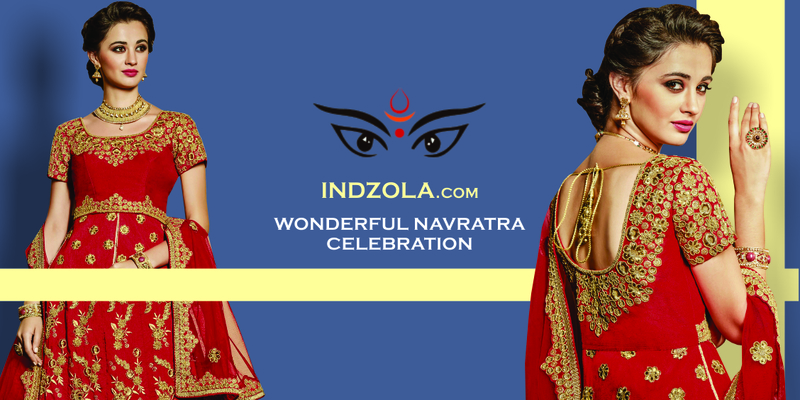 The third day of Navratri exhibits characteristics of bravery and courage. Grey is the colour for this day. It is believed that offering milk, kheer and sweets made of milk helps to get rid of sorrows and pains in life. On the fourth day of Navratri also known as the ‘chaturthi’, goddess Durga is worshipped in the form of “Kushmanda”. It is depicted to have 10 hands. The colour for this day is orange. As bhog to goddess Kushmanda, malpua is offered to the maan Durga goddess. It is believed that the universe is formed from the abdomen of the goddess. Offering malpua to goddess Kushmanda is believed to improve mental ability and decision-making power of the devotee. A form of goddess Durga to be worshipped on the fifth day or the ‘panchami’ is “Skandmata”. Skandmata is depicted holding an infant Kartikey. It is traditional to wear white on this day. The bhog that we offer to goddess Skandmata on this is a banana. It is believed that offering banana helps to keep the physical health of the devotee. On the sixth day ‘Shashti’, we worship goddess “Katyayani”. According to Hindu mythology, respected Kata performed several formalities to welcome the Goddess in the form of a daughter. Impressed with the devotion, the Goddess accepted his blessing. The child who was born to Kata came to be known as Katyayani. Honey is offered to the goddess on this day and this makes the devotee look charming and attractive. Color for this day is red. ‘Saptami’ or the seventh day. Goddess “Kalratri” is worshipped on this day. The goddess is portrayed having a dark complexion and aggressive posture. The colour for this day is royal blue. On this day we offer jaggery to the goddess for the removal of evil powers. On the eighth day of Navratri or the ‘Ashtmi’ goddess, “Maha Gauri” is worshipped and this day symbolizes of purity, serenity and tranquillity, Mahagauri is said to put an end to all the suffering of her devotees. People offer fresh un-boiled milk, sweets made from mawa,halwa, black chana (gram) and fresh flowers to this goddess Later, these items are distributed as prasad among themselves. Anarkali: A beautifully designed anarkali suit will be nicely complemented with stone jumkis and an embellished clutch. This dress will make you feel like a diva and grab everyone’s attention. You can even add height with a nice pair of stilettos. Lehengas: The quintessential ethnic wear, will certainly add some beauty and charm to your appearance. Team it up with a nice pair of heels and an embroidered bag to give it a nice ethnic look. This is certain to be a great attire for this festive season. Kurta Payjama: Men can wear kurta pyajama in different shades of pink, blue or any bright colour. The neck can be adorned with beautiful embroidery or colourful prints. Cotton and silk are popularly used fabrics for kurta pyjamas. This ethnic dress can also be completed by teaming it up with a pair of nagaras/mojaris. Sherwani: This traditional attire can be teamed with a pink stole, embroidery on the neckline and slim fit black pants to create a distinct look. With this attire, you will definitely stand out from the crowd. This entry was posted in shopping, Uncategorized and tagged anarkali suits online shopping, best designer lehenga choli, Buy anarkali salwar suits india, buy mens ethnic wear online india, designer lehenga choli, ethnic mens wear, mens wear, navratri celebrations. Bookmark the permalink. ← How to wear palazzo pants?